« M. S. Spencer is in the House! Wow!!!! Love it, the colors are so perfect. Isn’t it lovely? 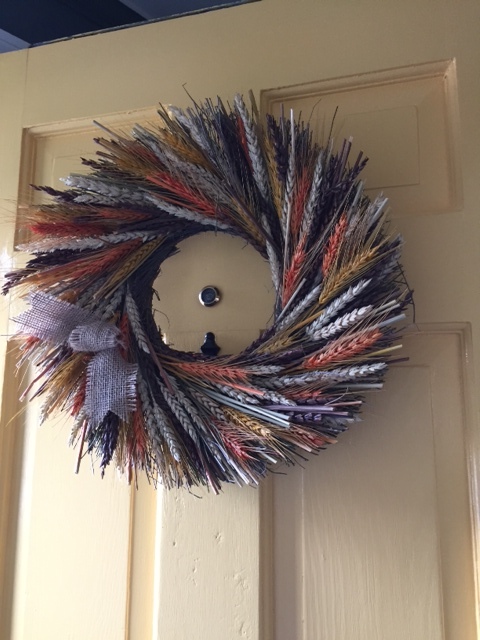 It was the summer wreath on my son’s door. I love this! It’s “chipper”! My mother often made dried floral arrangements…mine are heavy on “weeds”, but pretty weeds! That was my thought, too Laurie but when I got here, they have a yellow and brown one. Very similar and I asked. I was told this one was summer. Color me stunned. Lol.